Home-Style Dog Day Care. Dogs roam free, play, and socialize! All family dogs need a place to stay during the day. Your dog spends the day at our comfortable Victorian home with us and other pets. For your dog's protection, our home is climate-controlled and our yard is pesticide-free. Crate-Free Home Boarding. No Cages, Crates, Pens, or Kennels! How it works: You make a reservation to bring your dog to us during check-in hours. Your pet spends the day and night at our comfortable Victorian home, with us and other dogs. For your dog's protection, our home is climate-controlled and our yard is pesticide-free. Some of the specialty services that we offer are: Night care for medical professionals and others working graveyard and nighttime shifts. Personalized individual attention to Elderly, Infirm, or other dogs with special medical needs. Our unique environment is perfect for overcoming skittishness and separation anxiety. We are open 365 days per year from 7am to 7pm in order to take care of your dog day care needs. Our dog day care customers are taken without reservation on a first come first serve basis. It is very rare that we are unable to take your dog but if you are unsure, simply give us a call to confirm that we are able to take your dog. All dogs that are not going to be hand carried should be brought to our facility with a secure leash, collar and or harness. Our Portland facility is very secure once your dog is inside, but do please keep in mind that we are located on a busy street with lots of activity taking place throughout the day. Unfortunately, far too many owners do not pay careful attention to their own dogs security! Please take a moment to make sure that your dog is fully secured for his or her short trip to and from your car. For those needing brief periods of dog day care, we have half day packages that cover periods of 5 hours of less. For those needing more, we offer full day day care rates good for any time period over 5 hours between 7am and 7pm. Our single use rates are $15 for a half day and $25 for a full day. However, we offer a number of pre-paid packages with deep discounts that can lower your costs to as little as $7.50 per half day and $10 per full day. Typically, most day care dogs are fed at home either before leaving home, after leaving home or both. We generally do not feed our day care dogs. However, some puppies and other dogs with special needs are on an eating cycle that includes a mid-day meal. If this is the case with your dog, simply bring his or her mid-day meal. A note will be made to our staff at check-in that your dog is to receive a mid-day lunch. If your work or school schedule happens to not take place during our normal business hours of 7am - 7pm give us a call. We may be able to accommodate a swing shift or other non-traditional schedule. We always try to find a way to say yes to customer requests if at all possible. We have numerous long term doggy clients who have been kicked out or rejected by other dog day care providers do to purported behavioral issues, health conditions, special needs, or odd schedules. Safe Journey Dog Boarding takes pride in making every effort to be the dog daycare providers that says "yes!" We will make every effort to meet you for curb-side service in order to increase your convenience and minimize disruption to the tranquility of the facility. If you are not on time for your pick-up or drop-off, call us while on your way. Meeting you and your dog at the curb is good for you, good for your dog, and good for all of our four-legged guests. No need to get out of your car. No need to get wet. You can pick-up or drop-off in sixty seconds or less! We're particularly skilled at taking care of pets with special needs, including older animals with low mobility. 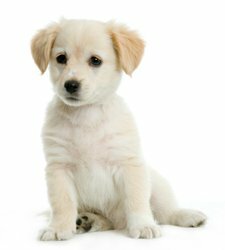 We also provide a great environment to socialize your new puppy or receive help with behavioral problems and obedience training. My dog was so happy at SafeJourney. He looks forward to another stay. The dogs were happy and having fun and not crated at all. Wonderful Service! Best place ever. Our dog is incredibly people shy. But, whenever we turn the corner to SafeJourney, her tail beats like a drum against the seat. Friendly, wonderful, clean environment. Best price we could find. She plays inside and out and comes home tired. I feel confident that my puppy, Aasia, is well looked after and in good care when I take her to SafeJourney. I strongly recommend them to friends who inquire about her "daycare". Visit our dog day care pricing page for more details about our package deals on full and half-day dog day care rates! View our package pricing for better daily rates! We have packages as low as $7.50 per day! We have packages as low as $10.00 per day! There’s a ton to do and see in and around Portland, but not all those places are pet-friendly. That’s why it’s great to have pet boarding service options for those times when you need to get away but your pup can’t come along. And if your pet can’t stay home alone because you don’t have a pet sitter to care for them, offsite care for the day is a great option. In some cases, Portland homeowners simply need a place to take their dog when the housecleaner, pest control service, or contractor comes to do work inside the house. Other times, visitors who are allergic to pets stop by and you just need pup out of the house temporarily. Whatever the reason, that’s what Safe Journey Dog Boarding is here for. We keep your dog safe and secure without restricting their need to move and play. Safe Journey offers cage-free dog boarding for pups who need room to roam around and socialize. Let us know how your pet reacts around other animals. Your pet’s experience at our day care should be a positive one! So, we always ask about their eating habits, personality, and needs in terms of attention during check-in. The facility where your dog will spend his or her time is designed to engage as well as protect them. Our attentive staff is always nearby if your specialty dog needs specialty care, and if they require mid-day medication, just let us know. We keep detailed notes on all of our guests to ensure that the right care happens at the right time. If you forgot anything during check-in, just give us a call. Our facility in Portland is open from 7am to 7pm every day. Please call beforehand to ensure that we have space for your pet. Though we are rarely unable to accept a daily boarder, we want to make sure you have confirmation before arriving. When transporting them from the parking area, please make sure they are safe by keeping them either on a leash or in a carrier. The facility is near a busy street and we want to make sure that your pet is safe and secure before and after their visit. Call to talk about how we can accommodate your schedule. We are open from 7am to 7pm, but if you need to pick up or drop off your pet outside of that timeframe, just ask! Our full day rate is $25 and covers time periods of more than five hours. Our half-day rate is $15 and covers visits for up to 5 hours. Many dog day care facilities in the Portland area are very strict about canines with special needs, behavioral issues, or odd scheduling. We make every effort to accomodate you as a caring pet owner, and your pet. 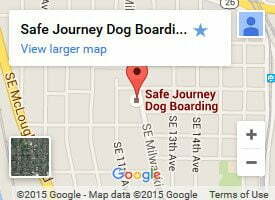 For reliable, caring, and local dog day care, call Safe Journey Dog Boarding. We look forward to caring for your special friend!